Rawley Nielsen is the President of Investment Sales at Colliers International in Salt Lake City. Rawley joined Colliers (formerly CBC Advisors) in late 2015 through a merger and acquisition of his previous firm, NAI Vista. Rawley co-founded NAI Vista in early 2014 and served as president and head of investments. NAI Vista was a full-service brokerage firm with offices in Salt Lake City and Provo. As head of Colliers International investment and capital markets practice in Utah, Rawley is focused on private client and institutional investment sales in the Salt Lake City metropolitan region and throughout the western United States. Rawley brings over 15 years of high-level investment sales and capital markets experience to Colliers International, having completed over $1.5 billion in debt, equity and investments sales transactions. Rawley is a graduate of the BYU Marriott School of Business and received his BS in accountancy 2002. He began his career in public accounting with PricewaterhouseCoopers in San Francisco. He soon left the accounting world to join Arroyo & Coates (now Newmark ARA), the leading real estate multifamily investment brokerage firm in San Francisco. In his first year, Rawley was named senior associate and gained significant market share within the Bay Area. Rawley then spent 11 more years in San Francisco in the private client and institutional sales groups of Wheelhouse, CBRE and Cushman & Wakefield. 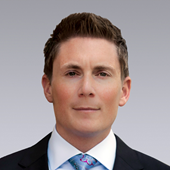 He was consistently ranked as a top producer for the Bay Area and was named as a Costar Power Broker in 2013. Many of his deals were recognized in real estate publications, including a nomination by the San Francisco Business Times for 2013 Deal of the Year. Rawley is an active member of the Urban Land Institute and is on the board for the Utah Chapter of CCIM. He currently resides in Holladay, Utah, with his wife and three children. Darren comes from a family that has over 65 years of combined experience in the commercial real estate industry, with well-known expertise in all aspects of the financing, construction, maintenance, property management, leasing, and sale of commercial properties. 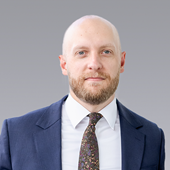 With a foundation in investment real estate going back more than 10 years, and having previous experience in managing investment property, Darren has a deep knowledge of what is required for an asset to perform and meet the objectives of buyers, sellers, and tenants alike. Darren’s attention to detail and client-centered approach are indispensable in his role on Collier’s International | Utah’s top producing investment team for 2017. Darren is a graduate of Brigham Young University and currently lives in Salt Lake City with his wife and two children. Mark Jensen, executive vice president of investments at Colliers International in Salt Lake City, Utah, is a top-producing investment broker with over 13 years of experience in the commercial real estate industry. Mark has closed over $1 billion in commercial real estate transactions since 2004. While he has experience and real-time activity in all CRE sectors, Mark has sold over 5,000 apartment units in the past ten years. In the last 24 months alone, Mark and his team completed 51 transactions totaling over $280 million in sales value. In addition, his team has consistently completed over 50 percent of the brokered apartment transactions in Utah over the last four years. Most recently, he was named as one of the nationally recognized “50 Under 40” award recipients by Real Estate Forum in 2017. Mark has become a standout in the industry due to his focus on the best interests of his clients and his expert knowledge of the market. Clients, brokers and other professionals praise his vision, professionalism, commitment to getting the job done and ability to recognize and anticipate the nuances of the market. Mark has a passion for numbers, understanding cash flow and the effect it has on his clients’ asset values. He has an enthusiasm for capital markets, comparable sales, the competitive landscape and applying data and trends quantitatively to help his clients capitalize on the market and make educated decisions. This zeal motivates him to read voraciously and pour over sale and lease comparable and available properties as he strives to be the most knowledgeable investment broker in the market. His passion comes in handy during tax appeal season, when he handles appeals for hundreds of clients. Focus and hard work allow him to pinpoint pricing and trends to help his clients maximize value and act on the most accurate information and inefficiencies in the market. Mark’s network of developers, hard money lenders, banks, appraisers, brokers and other industry professionals gives him the tools that have helped him become a top producing investment agent. His ability to recognize problems and find solutions makes him an invaluable partner to every client. He takes the time to understand the details of each transaction, assuring that everything moves smoothly through the entire process. Mark is dedicated to providing his clients the best possible service and making sure they achieve their real estate objectives. Another reason Mark has become a standout in the industry is his drive for understanding and creating value, utilizing his excellent interpersonal skills, professionalism and commitment. These abilities have provided him the occasion to work with Utah’s most prestigious and active investors. His vision and ability to understand his clients’ needs assure that he will continue to be a significant presence in the market for years to come.